Manchester United were 3-1 winners at the Emirates Stadium on Saturday evening to move seven points ahead of Arsenal after 15 games. The result leaves us five points behind Premier League leaders Manchester City who host West Ham United later today. Goals from Antonio Valencia and Jesse Lingard gave us a 2-0 lead inside the opening 11 minutes in a game that the hosts dominated possession and territory. Indeed, Arsenal had 75% of the ball and fired in 33 efforts on our goal. 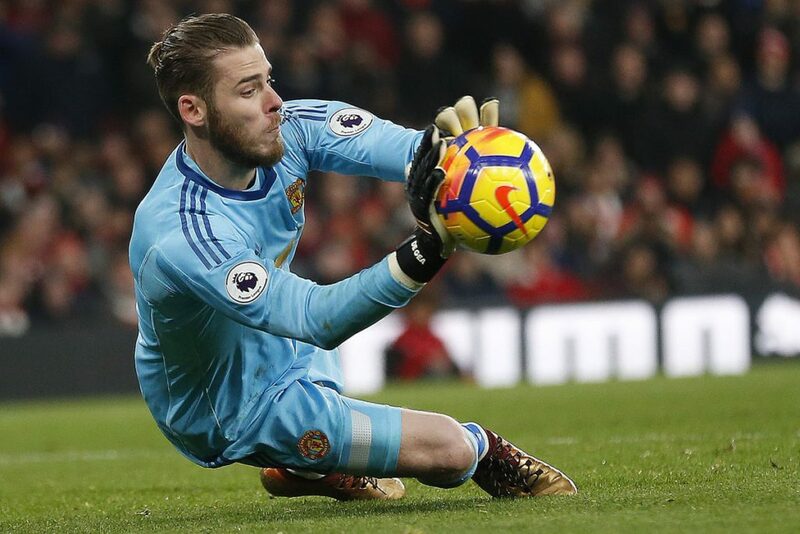 However, the Gunners were denied by an inspired David de Gea who made an incredible 14 saves – the most since Vito Mannone denied Chelsea on the same number of occasions in April 2014. This included a number of World Class stops from the Spaniard. First denying Alexandre Lacazette inside the six-yard box early on, and later in the first half reacting quickly to prevent Romelu Lukaku from scoring an own goal. De Gea saved the best until late on in the game when he first got down to prevent a powerful effort from Lacazette going into the bottom corner and then somehow denying Alexis Sanchez’s close range rebound with his boot. Although Lacazette had reduced the score to 1-2 three minutes into the second half, David de Gea has still kept more clean sheets than any other goalkeeper in the Premier League so far this season – nine. He’s only conceded nine goals in 15 games too. Paul Pogba produced an excellent assist for Jesse Lingard to tap home from the goalline just after the hour. Despite Pogba being sent off late on we held on for a 3-1 victory.